The Connecticut State Veterans Memorial features a granite colonnade structure consisting of five columns representing each branch of military service as the memorial’s main focal point. A semi-circular granite wall with “HONORING THOSE WHO SERVED” engraving acts as the memorial’s framing element. 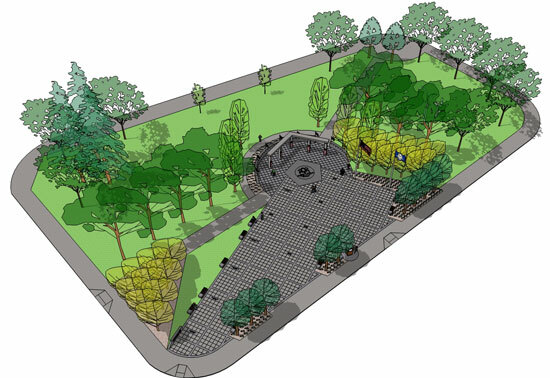 The memorial will highlights various conflicts with engraved granite pavers throughout the plaza. Highlights include granite pavers, benches, specialty lighting, and landscaping. Soon to come is a Kiosk that will have information for veterans and an America's Wars Walkway Digital Tour. Click here for Digital Tour. Architect: BL Companies of Meriden, Conn.